Close your eyes and imagine that you are sinking your teeth into the creamy, custardy yellow flesh of premium durians. The company is good and the conversation is light and amusing. You roar with laughter at all the funny bits. You scoop another piece of durian from its shell and put it into your mouth as you sit back to enjoy the view from the terrace of a modern farmhouse which overlooks durian trees and the mountain. If that is your idea of bliss, then an afternoon at Bao Sheng Durian Farm in Penang is just the thing for you. The seven-acre spread is situated in Balik Pulau and is becoming increasingly popular with serious durian lovers especially those from Penang and Kuala Lumpur. I was there with my siblings recently and it was an afternoon that would be hard to forget. For starters, the durians here are of the highest quality. 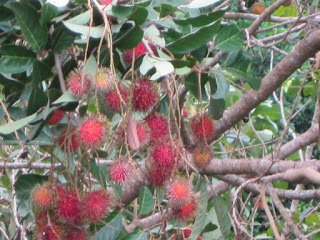 Bao Sheng has 180 durian trees and they belong to the kampung (village) varieties with curious names such as Red Prawn, Horlor (Hokkien for melon) and Little Red. 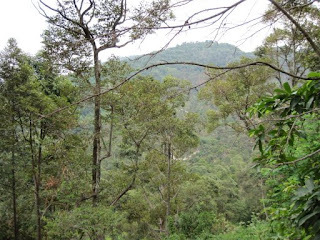 When owner Chang Teik Seng's father bought the plantation in 1955 for a mere RM3,500, it only had five durian trees. Few farmers were interested in growing durians commercially at the time because government incentives were for rubber cultivation. But the elder Chang felt that the King of Fruit had a lot of potential. He turned out to be right and today Bao Sheng is the THE place for the durian connoisseur. Durians from the holding shot to fame when they earned top spot in a 1996 competition organised by the Agriculture Department; they went on to grab other coveted awards. Chang started a website about his thorny gems soon after that and collaborated with a hotel in Penang to drive guests to his place for "Eat all you can" sessions, which have become a "must do" activity for visitors to the island. Not surprisingly, foreigners are drawn to Bao Sheng. Chang Zhi Keong (second picture from top), Chang's son, related the following story. Three Americans came to plantation recently and devoured the fruit as locals would. One of them even polished off eight durians. Apparently the smell didn't bother them. Zhi Keong is a first-rate storyteller and he held his audience spellbound. For me that was among the highlights of my afternoon at Bao Sheng Durian Farm. Being told that he would pack rambutans (also from the farm) for us to take home (free of charge) was an added bonus of our visit to Malaysia's best kept secret (at least to me before this trip). His website has played an important role in promoting Bao Sheng, says Chang, who eats durians daily ("my family and I love the fruit"). Many of his new customers are tech-savvy young professionals who came across his website while surfing the internet. Since Malaysia offers some of the best durians in the region why do we still import from Thailand? Thai durians flood the local market in March and April. Malaysia's durian season starts in May and ends either at the end of June or early July. The Thai durians are cast aside when the local season begins, Chang says. Those who have tasted durians from Bao Sheng are not likely to forget the experience and would like to share it with their colleagues and business partners. That's where durian parties come in. Organisers -- professionals in the 25-50 age group -- of these parties, which take place two to three times a week in Kuala Lumpur and on the weekends in Penang, get their supply of the fruit from Bao Sheng. You can also buy these durians in supermarkets. Apart from Balik Pulau, excellent durians can also be found in some areas in Perak, Kuala Lumpur, Negri Sembilan, Pahang and Johor. I checked out the website and was impressed enough to want to go sometime soon. This is a good example of Malaysia Boleh. And it's good to see Westerners enjoying their fill of the King of Fruits too! Hi Faezah ! 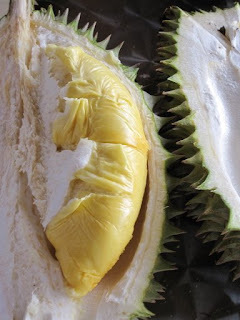 I happen to come across your blog and your post on Penang durians today. Very interesting. The photos that you have taken were also quite sharp and beautiful.Your journalistic approach in writing makes your article very informative. 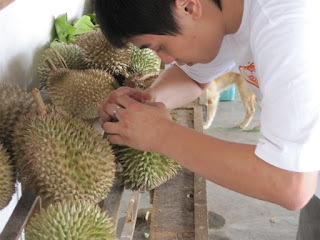 May I use some of your durian photos and link your blog to Durianon (Singapore). 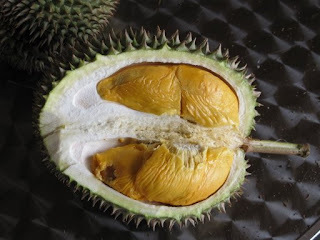 This blog is also all about durians! Thanks. Hi Durianon ... thank you for your comments.Wow! that's great. Yes, you may use the durian photos that I look. I am very much a novice ... I am learning how to take pictures from a good friend, who is a professional photographer.